I don’t know about you, but I’ve always been pretty inspired about romance. Looking for a romantic color palette for your upcoming wedding? 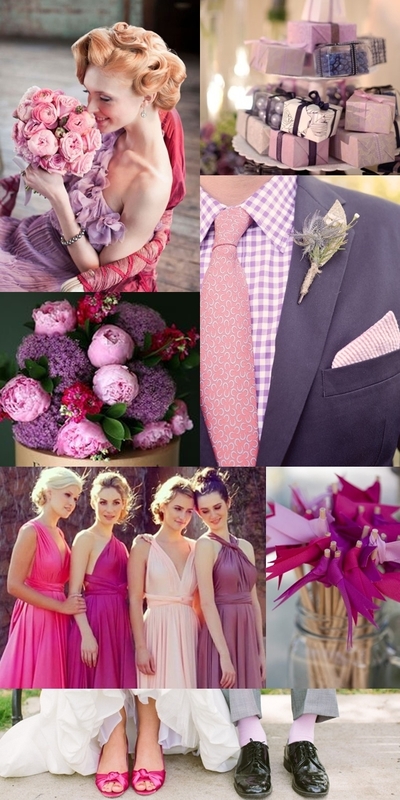 Why not try mixing shades of purple with shades of pink? I love seeing them paired together. It’s elegant, beautiful and absolutely unique. I’m absolutely swept away by these gorgeous images. I love the idea of pairing lovely lavender bridesmaid dresses with soft pink bouquets. I also love this fun and unique take on groomsmen attire! It just goes to show that guys can pull off what most people would consider ”girly” colors. So what do you think? Would you consider using a romantic palette like this?